If you ever want to learn about the crazy yo-yo subculture, shoot me a note! My yo-yo design, which I later licensed to the Duncan Toy Company, focuses on an innovative response design. This would allow for longer spin times and, ultimately, more tricks. I designed this yo-yo as part of capstone pre-collegiate engineering class I took while I was a senior in high school. At that time, I was very interested in yo-yos - due to a series of unrelated, but obviously nerdy, events. I conducted online surveys, identifying responsiveness as the area that I wanted to focus my design. Once I settled on a design, I worked with experienced engineers to model the centrifuge clutch design. I prototyped the yo-yo using a 3D printer and playing hooky to go to a local machine shop. I filed a provisional patent with the help of my mother (yes, my mom) who worked in the patent office when she was a young engineer. I talked to manufacturers to identify tooling and unit cost which I rolled into a business proposal that I sent to several manufactures. 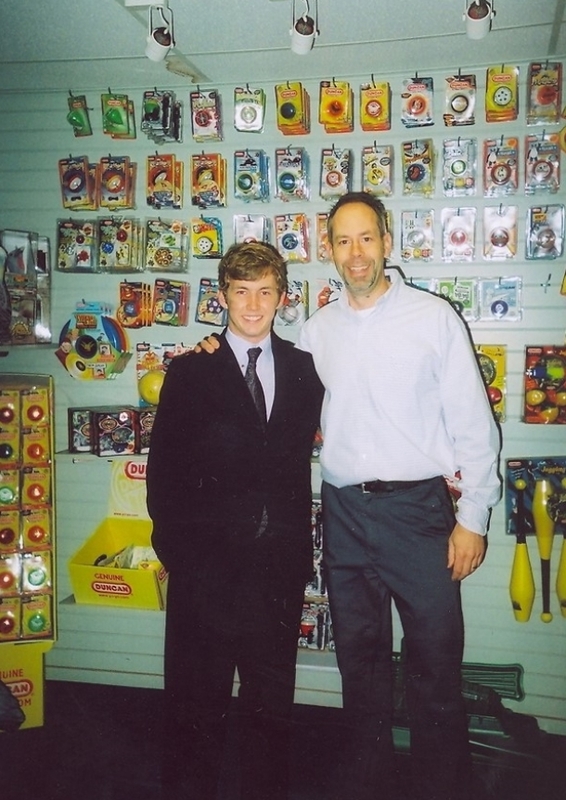 The Duncan Toy Company was interested and had me out to pitch the yo-yo – eventually we signed a licensing agreement. Yo-yo response is the term for the method with which the yo-yo is returned to your hand. The yo-yo is able to climb the string back to your hand by friction. But the friction slows down a yo-yo, hurting spin time – an important measure for the number tricks that be preformed during a single throw. Phew, a lot of yo-yo jargon. Essentially, you need friction to return the yo-yo, but it hurts you – my design hinged on this relationship. This experience set me on a path to where I am today. It showed me the value of working together with other, smarter people. It really got me hooked on product development. Click to enlarge photos and learn more.